A squeaky office chair can be annoying and even embarrassing. Fixing your squeaky chair will prevent all eyes from being on you every time you sit in your chair. This is a guide about fixing a squeaky office chair. Everybody in your office will be annoyed at a squeaky office chair, if it's yours at home you will be annoyed. Either way let's fix it. It's easier than you would think. First make sure the chair is on a even surface and is level, if this is all in alignment let's proceed. I always try to use organic materials when possible. So I go to olive oil first, you can also use WD40. Put this on the springs and bolts under the seat. Make sure you have a cloth for any extra oil that could stain, if you haven't already protected the area (seat and space where fixing). If it still squeaks go to every bolt, screw, and spring seeing if they are tight, or evenly tightened. You can adjust them or just unscrew and redo to make sure each one is in its correct position. If the chair is older, use the oil (or DW40) before you unscrew the screws or bolts. Then apply again before you replace them. This step will make sure everything is lubricated evenly. This should have your squeaky chair as quiet as the day it was bought. Remember moisture in the air or air conditioning causes rust, so using the oil prevents and removes the built up rust keeping it from happening again in the future. If the location of the squeak is more inside the mechanism, get some WD-40 with the long red tube on it and spray up in there. If it's not way in there, then you can use WD-40 without the sprayer tube, or even use spray vegetable oil. I am in park. I press on the brake and when I lift my foot off the pedal I hear a loud squeak. I can do this a hundred times and it's the same squeak. I drives my wife nuts because when we pull up to a light and I tap the brakes it squeaks every time I let my foot off the pedal. Any suggestions will help. Is the squeak coming from the break pedal or from the breaks on the car? If its from the breaks themselves, they need to be replaced. they have squealers in them--they are to alert you that its time to replace. If its from the brake pedal, thats a different story. Squeaky brakes must be fixed. You don't want metal scraping against metal because that is more expensive than just replacing the brake pads. 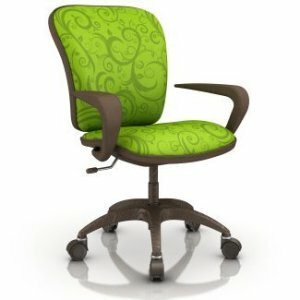 How do you remove the seat mount on an office chair in order to fix a squeak? No need to remove the mount. Just get a can of WD-40 with the long straw on it and poke it up in there to give it a good spray. How can you fix squeaky office chairs? If you know where the squeak is try silicone spray. You can get it at the auto parts store pretty cheap. Or you can try powdered graphite from a hardware store. I suppose you could sit forever with a number 2 pencil and go over the area where the squeak is, but the powdered graphite is much quicker.